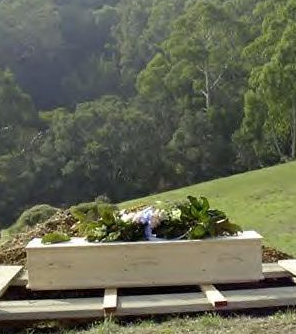 Green burials are a gift back to the earth! When someone that you treasure or someone that has shaped your life dies. You want to give them a funeral that captures the essence of that person. A ceremony that properly says good bye, it has been a pleasure to have known you. You want the people who mourn with you to feel comforted, you want them to listen to the eulogies and remember the person, to learn something new possibly or at least to feel that what has been said is a fitting tribute to that person's life. By using a civil celebrant you are able to control the whole service from the music, through the readings and poetry that you choose to the facts that are shared in the eulogy. By using the right celebrant – one with whom you have a rapport – you can leave the graveside or crematorium with your head high knowing that the life of your loved one has been properly celebrated. It is easier to move forward into the next phase of your grieving having had that weight lifted from your shoulders.